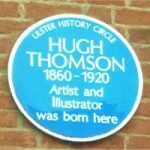 Hugh Thomson was born in Kingsgate Street, Coleraine, Co. Londonderry, on 1 June 1860, the eldest child of John and Catherine Thomson. 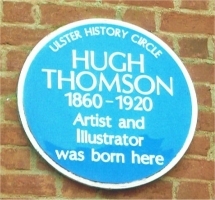 Thomson was educated in the model school in Coleraine. At age fourteen he started work the local linen industry but three years later he entered the employment of Marcus Ward & Co., colour printers and publishers in Belfast where his talent for drawing was encouraged by John Vinycomb, head of the art department. He married Jessie Naismith Miller in 1884 and moved to London, where he took up employment with Macmillan & Co. on the English Illustrated Magazine, joining some of the most distinguished writers and illustrators of the day. Thomson provided scenes of Covent Garden and Regency Bath and the illustrations for the Addison and Steele Spectator papers Days with Sir Roger de Coverley (1886-7). Thompson’s style reflected the nostalgia of the time, his fine line drawing of rural characters and gentle countrified society appealing to the imagination of the public. His next commission was for a series on historic coaching roads, Coaching Days and Coaching Ways, by W. Outram Tristram in 1887-8, published in book form in 1878. Thompson illustrated Mrs Gaskell’s Cranford for Macmillan (1891going on to illustrate eleven of the twenty-four books that came to be called the Cranford series. He also worked on two books for his friend the poet Austin Dobson, The Ballad of Beau Brocade (1892) and The Story of Rosina (1896). In 1894 he illustrated Pride and Prejudice for George Allen. 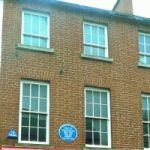 He returned to Macmillan for five more of Jane Austen’s novels-Emma (1896), Sense and Sensibility (1896), Mansfield Park (1897), Northanger Abbey and Persuasion (1898). 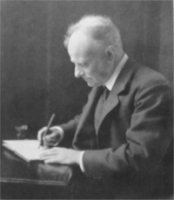 Thomson derived considerable satisfaction from his books on Ireland written by Stephen Gwynne (1864-1950). Highways and Byways of Donegal and Antrim (1899) contains some notable pen-and-ink character sketches. In all Thomson was involved with twelve volumes of the Highways and Byways series, which stretched from Donegal and Antrim to Devon and Cornwall. From the early 1890s Thomson’s drawings were exhibited on several occasions, beginning with a joint exhibition with Kate Greenaway at the Fine Art Society in 1891. From 1910 the Leicester Galleries were showing illustrations that had been prepared for printing in colour. The last two volumes in the Cranford series, both illustrated by Thomson, Scenes from Clerical Life (1906) and Silas Marner (1907), included colour, as did many of his later commissions, included works by Shakespeare, Sheridan, Goldsmith, and Hawthorne, and the popular plays of J. M. Barrie. The war years brought ill health and financial hardship. In 1915 for the first time in many years there was no Thomson book or magazine illustration for the Christmas market. With very little work apart from some commissions from friends and an American edition of Thomas Hughes’s Tom Brown’s Schooldays (1918), in 1917 Thomson was took a job with the Board of Trade, where he worked until 1919. In 1918 he was granted a civil-list pension of £75. 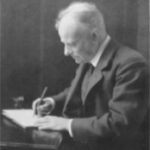 In spite of his deteriorating health he accepted what proved to be his last commission from Macmillan in 1919 to do a Highways and Byways volume on Gloucestershire. 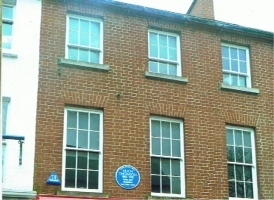 Thompson died of heart disease at his home, 8 Patten Road, Wandsworth Common, on 7 May 1920. The Ulster Museum in Belfast holds a number of his watercolours and drawings as well as a complete set of his illustrated books.